With plummeting temperatures and a “bomb cyclone” recently wreaking havoc across the US and Canada, we’re in need of a little warmth. And what’s a better way to get it than a sun holiday? Although winter vacation has ended, there’s still time to plan a last-minute tropical getaway with the family before spring arrives. But If you’ve got kids in tow, not just any accommodation will do. Families with kids have specific needs. You’ll want: bigger rooms, child proof accommodations, activities for children, childcare and more. Top family vacation spots from travel bloggers! We know you’re busy! That’s why we’ve done some research for you. Whether you’re craving relaxation or an adventure, we’ve listed 3 sweet tropical vacation destinations below. Read on and kiss those cold-weather blues good bye! Canadian Family featured some great hot winter destination options. Here are a couple from their list to start. If you’re looking for a family-friendly winter vacation package, check out Barbados! Almond Casaurina Beach is an all-inclusive resort that boasts an affordable, relaxing sun vacation for the whole family. They’ve got a ton of water and land diversions to keep the kids entertained, including badminton, beach cricket and volleyball, as well as snorkeling, paddle boarding and kayaking. 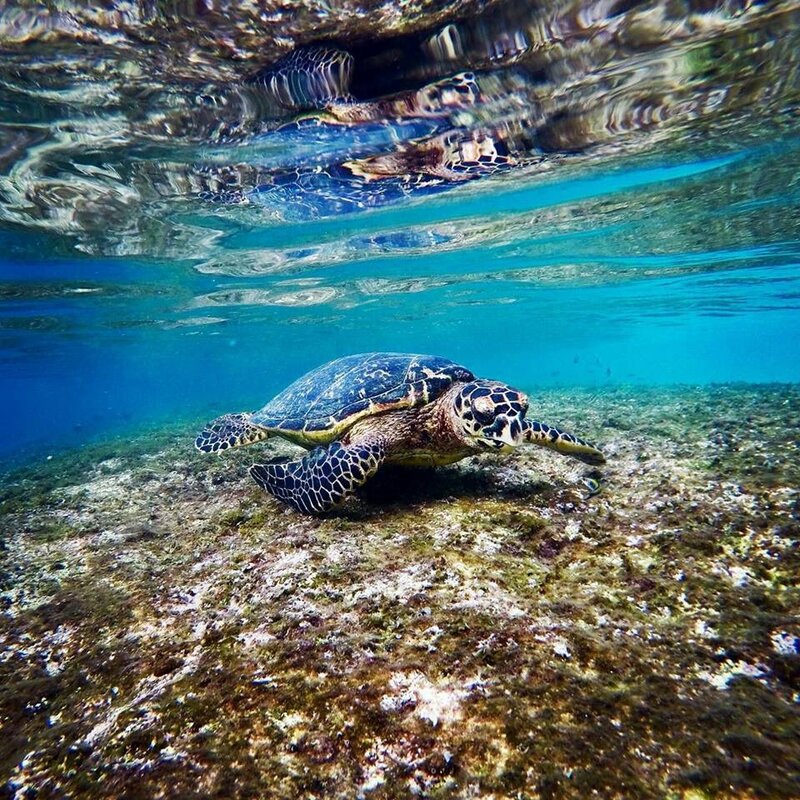 Feel like a boat excursion to swim with the turtles, or want to take an island tour instead? That’s included too! If you’re feeling peckish, treat yourself to one of the resort’s gourmet dining options. Afterwards, relax at the spa, hit up the gym or check out the putting green. All of the above activities are included, so you won’t have to worry about anything except doing exactly what you want without blowing your travel budget. Whether you’re game for a relaxing getaway or after an adventurous romp, you’ll want to get travel insurance. It’ll help protect your finances if you experience a medical emergency or accident while travelling. Not sure what a suitable plan is? Read about the best travel insurance for your Caribbean vacation! Does your family have discerning tastes? Do you prefer to relax in luxury and dine on gourmet cuisine instead of your run of the mill all-inclusive fare? Then Azul Sensatori Riviera Maya, Mexico might be for you. This resort provides a unique luxury experience, starting from the very moment you arrive. You’ll be greeted with a complimentary glass of champagne and the kids will get a smoothie and an activity book. You’re off to a good start! This property prides itself on anticipating your every desire, even before you do. They’ve honed their turn down service at night and guest service to an art form. While it’s no budget vacay, it just may be worth every penny. If you’re looking for a less crowded or off-beat destination in Mexico, see why you should consider making a stop in Manzanillo. If your family prefers an adventurous getaway, National Geographic suggests the Grand Hyatt Kauai Resort and Spa. Situated on 52 acres of the southern coast of Kauai, overlooking the pacific, the property boasts breathtaking views. But don’t just enjoy them from your hotel room. Get out and explore! After all, that’s what you’re here for. Fit families can hike the Nā Pali Coast’s Kalalau Trail to stunning cliffs overlooking the ocean or paddle the Hanalei River to discover the Hanalei National Wildlife Refuge. If you prefer to stay off your feet, there’s kayaking, biking, surfing and even helicopter tours available. The resort’s location makes it the perfect jump off point for all kinds of adventures. Ask your concierge to help you book the excursion that best suits your family’s desires. Heading to Oahu instead? Check out The Ultimate Guide to Oahu, Hawaii for some great tips on hiking spots, restaurants, accommodation and more! Wherever you go, you’ll want to get travel insurance. It’ll protect your trip investment if you’re faced with any unexpected medical emergencies. With family travel insurance, you’ll all be covered with one convenient plan. This economical option ensures everyone has coverage whether travelling together or separately, covering parents, children, grandchildren, and grandparents. Want to learn more? Read all about family travel insurance here. Wherever you and your family choose to go, have a fantastic vacation and soak up some of that hot, tropical sun for us!